Sized for pocket carry, the Eldris fixed blade is proof that good things can come in small packages. Many would agree that the bulk of tasks encountered in the field, whether hiking, camping, hunting, or in everyday carry, don't require a large blade. 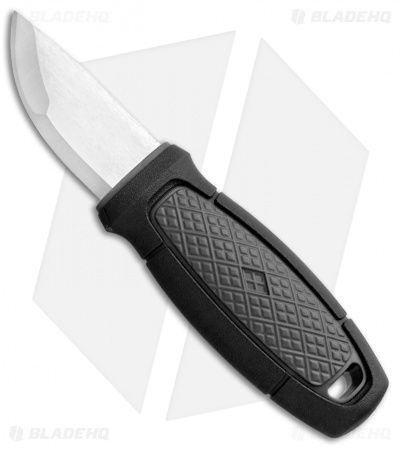 The real strength of the Eldris knife is that, like a folding knife, it carries with relative ease. 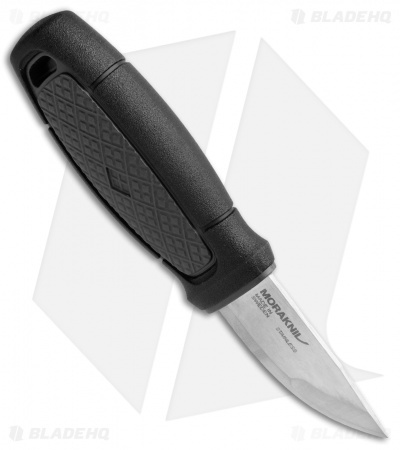 Choose from pocket carry, neck carry, or throw it in a small pocket or pouch on your pack – the Morakniv Eldris delivers best-friend qualities in an everyday carry knife. 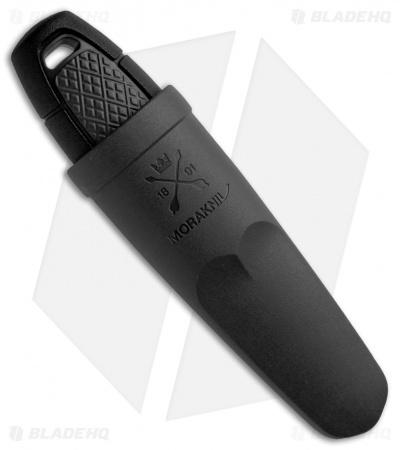 This model has a black handle and a matching black polymer sheath. Perfect to throw in your jacket pocket or to use as a neck knife. The spine has a perfect angle for throwing an abundance of sparks on a Ferro rod. 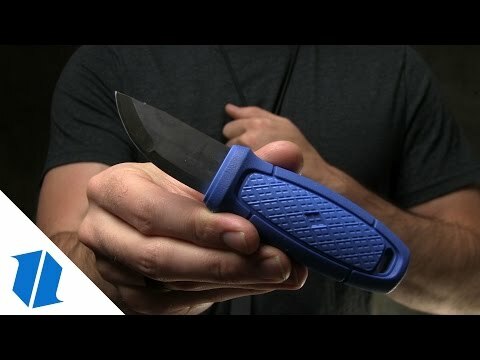 I use this knife for small carving projects when camping and starting campfires. The handle should have a little bump on the side with the sharp edge. Then you could tell by feel if you extracted the blade ready to work. Surprised the Swed's missed that.